This beautiful home has an open concept, that is great for entertaining. 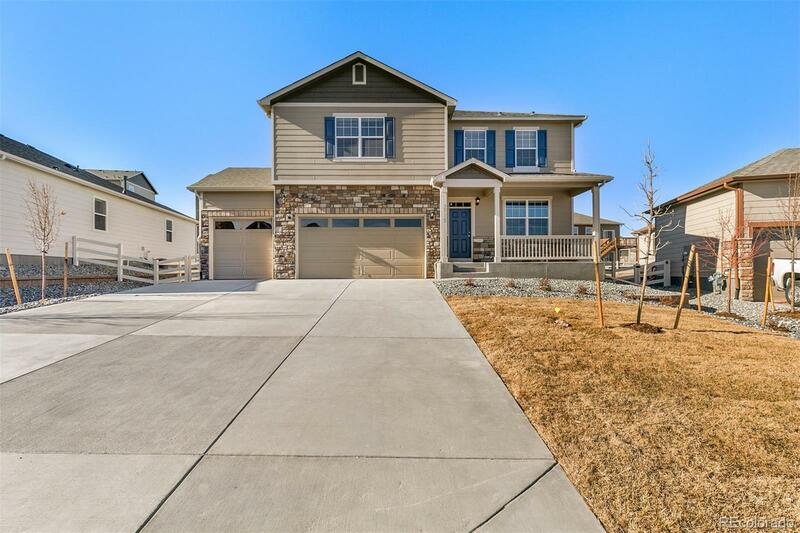 Modern charcoal cabinetry, granite countertops in the kitchen, stainless steel appliances, hardwood flooring, window blinds, a/c, full front and backyard landscaping that includes the fencing are all included! If you love to spend time outdoors, or just simply love a serene background, Crystal Valley Ranch should be at the top of your list. With basketball & tennis courts, community pool & clubhouse, fitness center, several parks and mile of walking trails, Crystal Valley Ranch has something for everyone. At this price, we won't have this home long. Builder 2-10 Limited Warranty. Call today to schedule your personal tour.